Not that you needed a reminder, but it’s Google’s big hardware week where they’ll host an event on October 4 to show off all kinds of new products. It’s basically a Pixel week, since we should get new Pixel 2 and Pixel 2 XL phones, along with a Pixelbook Chromebook. If Pixel isn’t your thing, that’s OK, since we are expecting new Google Home and Daydream units as well. Let’s do a quick recap of the goods we are almost guaranteed to see! Before we get to the devices, and even though we’ll be there in person to cover the event on October 4, know that you can watch it all live through the embedded video above. The event kicks off live at 9AM Pacific (12PM Eastern). So the fun thing about this recap before the event is that we are the ones who showed you all of the goods that Google is likely to show off. The most important, of course, are the new phones which we believe to be called the Pixel 2 and Pixel 2 XL. As far a we know, those are the official names. Our big Pixel 2 reveal is here followed by our big Pixel 2 XL reveal here. Pixel 2: This will be the smaller of the two and is made by HTC, though like last year’s Pixel, neither phone will have manufacturer branding outside of Google’s. The Pixel 2, at least according to earlier reports, will feature a 5-inch 1080p display, dual front-facing speakers, Snapdragon 835 processor, water and dust resistance that will be match industry levels, 4GB RAM, 64GB or 128GB storage, squeezy side gestures, 12MP rear camera, and at least Android 8.0, but it might be Android 8.1. The chances of either Pixel 2 having a headphone jack is slim. 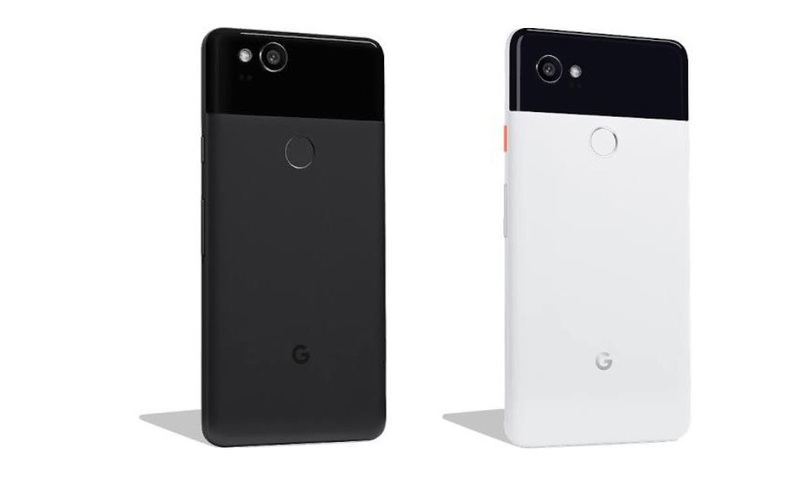 According to information we’ve seen, the Pixel 2 will come in Just Black, Kinda Blue, and Clearly White colorways. The 64GB model will be priced at $649, while the 128GB model will jump to $749. Pixel 2 XL: The Pixel 2 XL is the Pixel 2 made by LG and will be the more modern of the two, thanks to a 6-inch POLED QHD display, similar to the one seen in the LG V30. It’ll follow the current trend of smartphones which means it’ll have little bezel and an all-display front, unlike the smaller Pixel 2. Outside of the display, it should match the Pixel 2 in terms of specs and features with things like a Snapdragon 835 processor, 4GB RAM, 12MP camera, and 64GB or 128GB storage. According to information we’ve seen, the Pixel 2 XL will come in Black & White or Just Black colorways and cost $849 (64GB) or $949 (128GB). Both phones will be available with financing, plus Google has opened up a trade-in program on the Google Store (details here). If you are trading in an original Pixel or Pixel XL, Google is actually offering you quite a bit of cash, hoping you’ll upgrade, it appears. 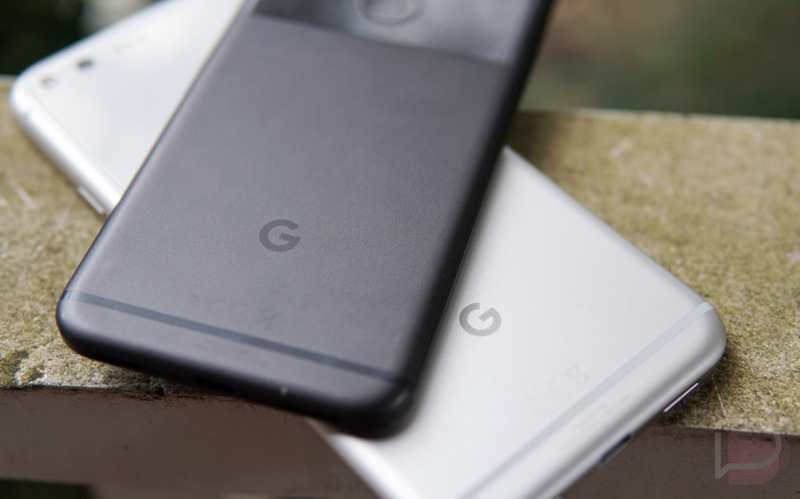 We aren’t sure when Google plans to release either phone, but last year, Google opened pre-orders for the original Pixel and Pixel XL immediately after they were announced and then shipped them by October 20. My guess is that they’ll do the same through the Google Store. As for carrier partners this time around, we just don’t know. The only info the world has on Google’s Pixelbook, the new high-end Chromebook made by Google, is the info we gave you a couple of weeks ago. Unfortunately, it’s just not a lot outside of pricing and storage options. Still, this is what we know. The Pixelbook is a follow-up to the original Chromebook Pixel devices that Google once sold. These were ultra-high-end Chromebook devices with price tags to match. They pushed Chromebooks further than previous efforts with touchscreens and premium materials, but also helped usher in things like USB Type-C. With this new Pixelbook, we should see more of the same, but this Chromebook will fold into a tablet as well, plus it’ll work with an optional Pixelbook Pen, a digital stylus (pressure sensitive, tilt support, etc.) that’ll cost an extra $99. 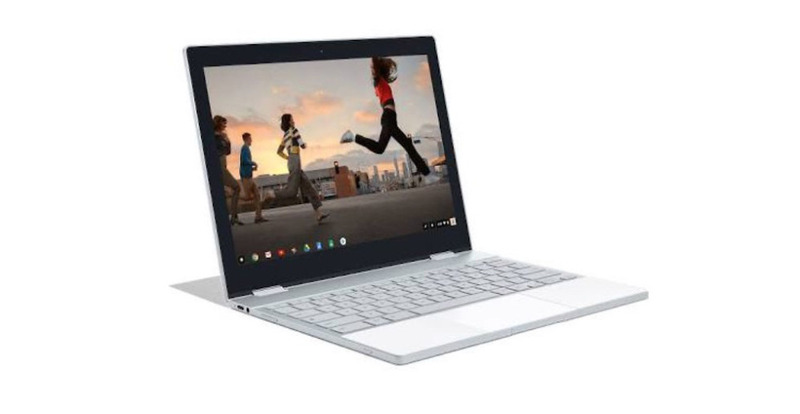 The Pixelbook will ship in a silver colorway, match the Pixel phones in terms of styling, and come in 128GB, 256GB, and 512GB storage options. We expect pricing (in order) to be $1,199, $1,399, and $1,749. We don’t know yet when the Pixelbook will be available for purchase. It has not yet passed through the FCC from what we can tell. Outside of the Pixel line of products, Google should show off a new Google Home Mini as well. As the name suggests, this is a smaller, more-affordable Google Home unit that’ll allow you to outfit your whole home with Google Assistant without breaking the bank. According to information we’ve seen, Google Home Mini will come in the three colors above (chalk, coral, and charcoal) and cost $49. These will be wired units and should also provide a similar experience to the bigger Google Home. The new Mini already passed by the FCC, just like both Pixel phones, so it should be ready for order right away once Google announces it. 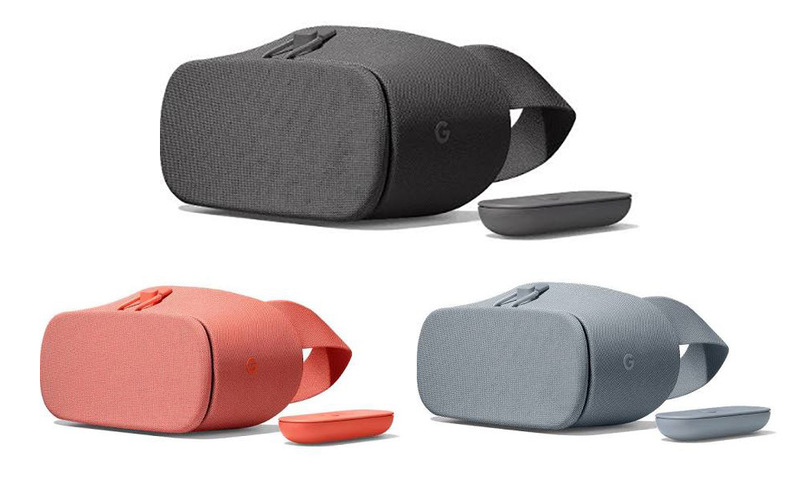 Finally, you should expect a new Daydream View headset to appear on October 4. We know very little about this new VR viewer outside of its price ($99) and new colors (charcoal, coral, and fog). That price is a $20 increase over the original Daydream View, so we’re hoping that means an upgraded viewing experience and a more powerful controller. We don’t know when the new Daydream View will be available. That’s a good question! These are the five devices we know about and believe will be the major focus for Google during the October 4 event. That doesn’t mean Google won’t have other surprises in-store. For example, we know nothing about the Android 8.1 update, yet FCC docs show that it could ship on the Pixel 2 and Pixel 2 XL. That would be something. Also, keep in mind that the Pixel phones from last year shipped with a special Pixel experience that should be here with the Pixel 2 and Pixel 2 XL as well. Does that mean a new launcher experience or other specially made apps? It should for sure mean squeezable gestures, but what else has Google cooked up? I’d imagine that Google will spend even more time talking about Google Assistant, just like they did last year. We could get Google Assistant on Chromebooks, plus Google Lens should finally show up too. At this time, we aren’t aware of a new Pixel tablet or Chromecast device or a Google-made Android Wear watch.